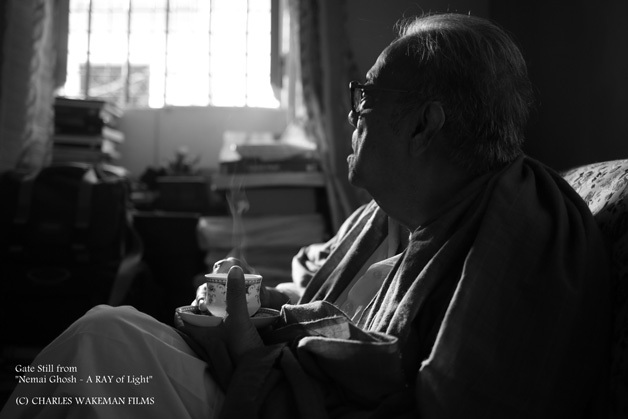 The film deals with the world of Master film maker the late Satyajit Ray as seen by his photo-biographer Nemai Ghosh—through his lenses and unique perspective. The subject is the beginning and progress of Ghosh’s journey in photography in the era of classic, analogue medium with all its nuances and beauty. It is a 48-minute black-and-white docu-feature depicting 50 years of creative excellence. Anirban Mitra’s journey as a photographer started in 2003, in the era of film—a medium in which he has worked for almost a decade. He believes in the purist way of unobtrusive, natural-light photography; in capturing chiaroscuro with a minimalist approach using the fewest possible gadgetry. Black-and-white has always been Anirban’s preferred medium for its seriousness and potential. He specialises in creating detailed visual narratives on aristocratic architectural interiors and private portraiture, in that order. He has photographed 40 stately homes and palaces. His solo exhibitions have been mounted in premier galleries in Calcutta and London, and published in two photo-books. Other books are in the pipeline. Anirban’s work has been included in the permanent collection of many important institutions and galleries. 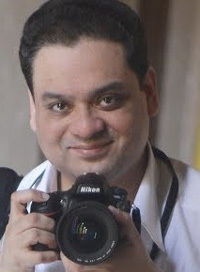 Anirban is highly influenced by the photography of Rt. Hon. Derry Moore, Earl of Drogheda. The National Portrait Gallery, London, has acquired Anirban’s photo-portrait of Derry Moore. Tirtha Dasgupta has taken up a career in design to create delightful experiences for people around digital interfaces. He has written poems and stories, and translated poetry for online and offline magazines. He has been an active member of a theatre group in Calcutta, his hometown. He has performed as an actor and contributed in other creative capacities within the group. In 2015, he joined forces with a friend to make a short film, titled The Paper Boy, which was selected for a number of film festivals in India, including the prestigious Dada Saheb Phalke Film Festival and Calcutta International Film Festival. 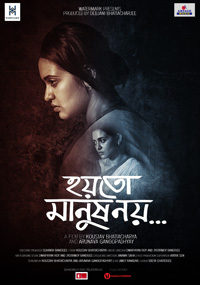 The film won the first prize in the BGHSAA Satyajit Ray Memorial Short Film Festival. It was winter in Kolkata. Five people left office in a midnight cab. One thing led to another and they started telling stories, to each other. Stories about supernatural events they have heard of, stories of spookiness that kept them enthralled. Stories which went beyond their mundane corporate chitchats and made the cab ride the journey of a lifetime and beyond. 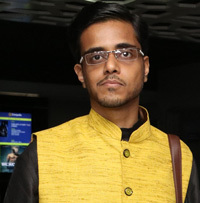 Koustav Bhattacharya is a management graduate by profession and film maker by choice. Koustav is an alumnus of Jadavpur University and Great Lakes Institute of Management. He has been working in a software MNC for last 10 years and is currently based out of Chicago. He is a native of Kolkata. He has a keen interest on literature and Indian history. He is a completely self taught film maker and has been making short films for a decade. His last short film KINTSUKUROI was selected in a number of festivals in India and abroad. It has by now attracted around 650K views in Youtube. This is his first feature film where he has played the dual role of Writer/Director. He describes this film as a tribute to the rich culture of Bengali Ghost Stories of which he carries a childhood full of memories. 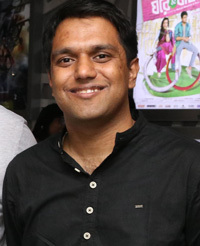 Arunava Gangopadhyay is the co-writer and co-director of HOYTO MANUSH NOY. This is his first feature film as a director. Koustav and Arunava’s camaraderie goes back to their high school days. Arunava is a commerce graduate form University of Calcutta. He has however acquired a diploma in Film Editing from Chitrabani Film School in Kolkata. He has been associated with multiple literary and film magazines in Kolkata as a creative writer and film reviewer. Arunava assisted Koustav in the short film KINTSUKUROI and they decided to share the burden for HOYTO MANUSH NOY as co-writers/co-directors.